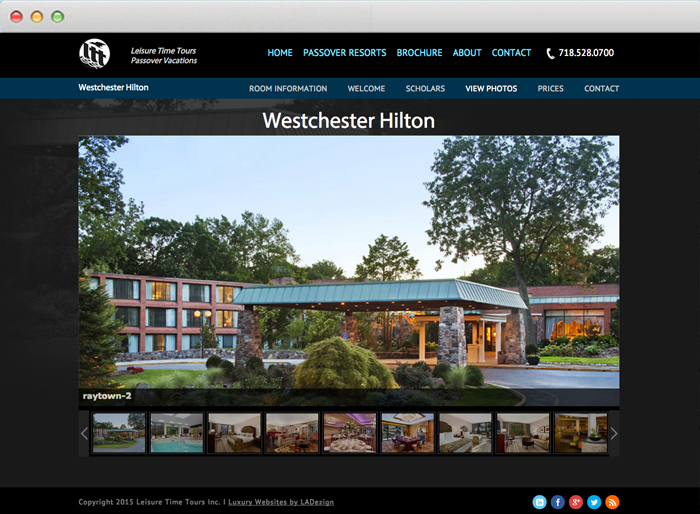 Leisure Time Tours for over 50 years has been a recognized specialist in Glatt Kosher Passover programs. 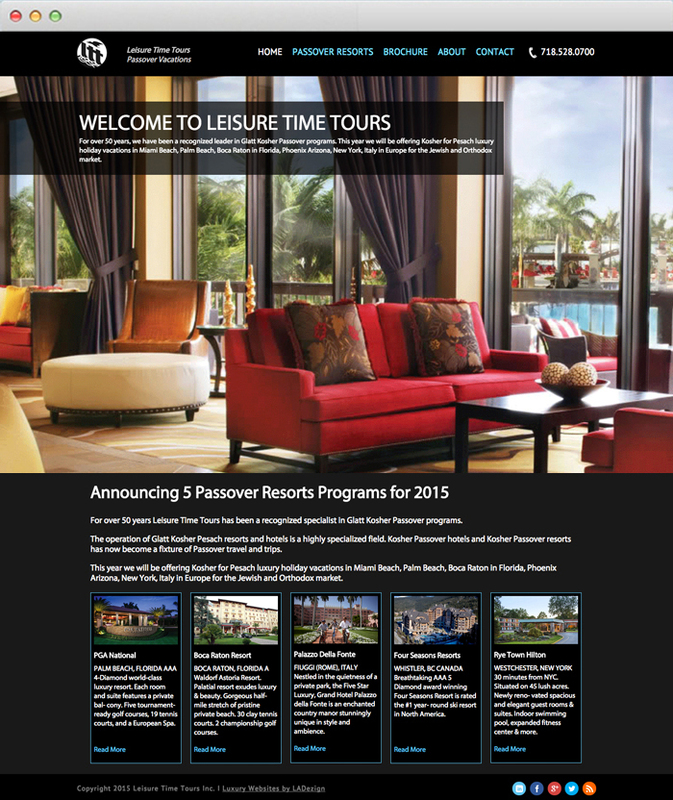 We redesigned Leisure Time Tours for the Passover 2016 coming year. 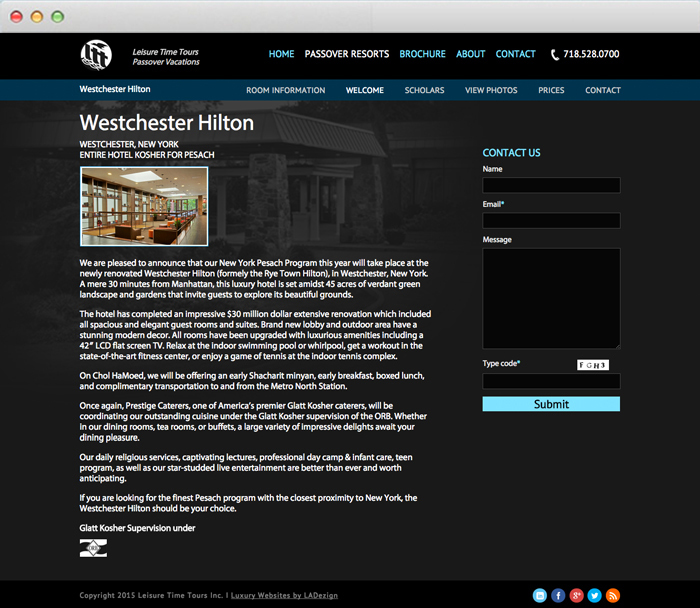 Now their site is mobile responsive and re-engineered for growth. © 2015 Ladezign LLC. 9190 W. Olympic Blvd., Suite 600, Beverly HIlls CA 90212. | All rights reserved. Copyright LADezign | All rights reserved.